I can’t believe it’s been over a year since I blogged last and I apologize! I’ve completely lost my sewing mojo but have rediscovered the knitting bug and although it’s not quilting, I am creating fabric. It can be a slow process but with small projects, it can be quick and fun as well. I’ve been knitting and crocheting little amigurumi figures and have designed a generic, all-in-one, top down bundle of goodness myself. I’ve taken a sock knitting class on Craftsy by Lucy Neatby and knit socks for my husband and myself as well as brioche scarves for a friend and my Mother-in-law. There are a ton of new techniques I’ve never heard of like knitting two pairs of socks on one set of circular needles and the “magic ring” in both knitting and crocheting. Stay tuned if you wish, more to come. Welcome back! Sometimes we just need a break but I’m glad to see that you are back in the creative saddle once again! 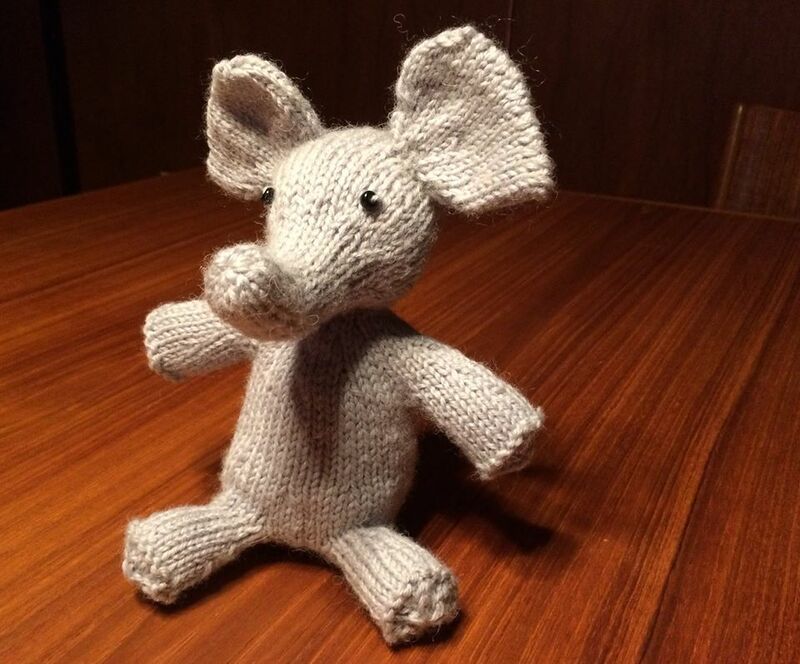 Your little elephant is too cute for words! Thanks so much Karen, nice to be back, especially where there are people like you here listening! Nice to see you back! Look forward to your posts. How is the dog walking business? Before your break you seemed busy with that. The dog walking ebbs and wanes, Christmas, March break and Summer break are slow, the weeks leading up to Xmas were insane! Love the dogs. 😀 Thank you so much for asking!